First find a comfortable, quiet place. Sit or lie down and close your eyes. Relax for a few moments by imagining you are in the middle of a flower-filled meadow on a comfortably warm and sunny day. Look around you and see the blue sky above you, with big white fluffy clouds floating about. Feel the breeze across your skin and through your hair. 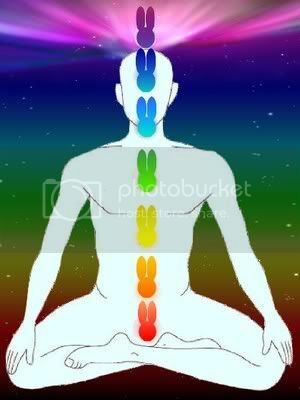 Breathe in deeply several times and feel your whole body relax. You are completely comfortable here. Next, hold your hands closely in front of you, at the level of your navel, as if you are cradling a small stuffed animal. Look closely between your hands and realize you are actually holding a crystal clear Bunny made of pure sunlight. This is a Wish Bunny and it hoppily wants to help you in your quest! While holding your Wish Bunny, feel once again your desire to find the perfect Bunnymate. 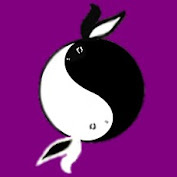 See yourself in the near future, extremely happy, laughing and enjoying life with this as-yet-unknown somebunny. You do not need to picture exactly what they look like. (In fact, it's usually best not to.) You are completely in love with each other. You feel secure and your heart is peaceful and joyous. You two are simply perfect for each other and there are no doubts about this. 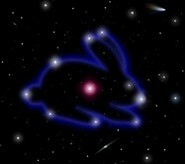 You are filled with thankfulness to the Cosmic Bunny, who has guided your energies and brought you together. Really feel all this for a few moments. Keep it positive, light and joyous. There is no sadness or longing here. Only the wonderful feeling of having found your Lovebunny. Now.... open your hands and release your Wish Bunny! 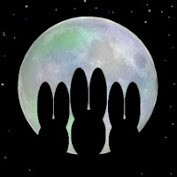 Away it hops, bouncing and hoppy, out of sight, guided by the Cosmic Bunny, scouting out the perfect somebunny for you! thanks for this wonderful information.. My fuzzy and I got alot from this. and BTW.. I love all your comments on my space page!! I'm gonna start doing this tomorrow morning until my lovebunny shows his floppy eared head! 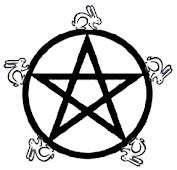 Could my Wish Bunny help me during hard times? Like maybe I really need help and it could help. I dunno. Thanks!